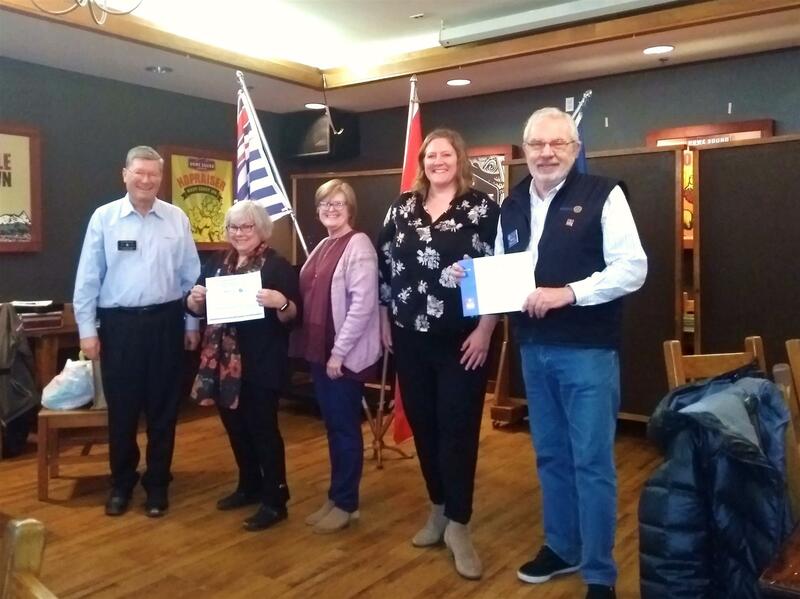 On behalf of Rotary International President (2017-18) Ian Riseley, District 5040 Governor (2017-18) Don Evans presented the Rotary Citation to the club on March 7th, 2019 for developing sustainable service projects, building awareness of Rotary in the community, growing membership and giving to the international Rotary Foundation during 2017-18. Squamish Rotary was also recognized for its financial contribution to the campaign to End Polio Now. In the photo L to R:: Don Evans, District Governor 2017-18; Judy McQuinn, Club President 2017-18: Liz Scott, Assistant Governor 2017-18: Kathleen van der Ree, Club President 2018-19; Brian Finley PolioPlus Chair.